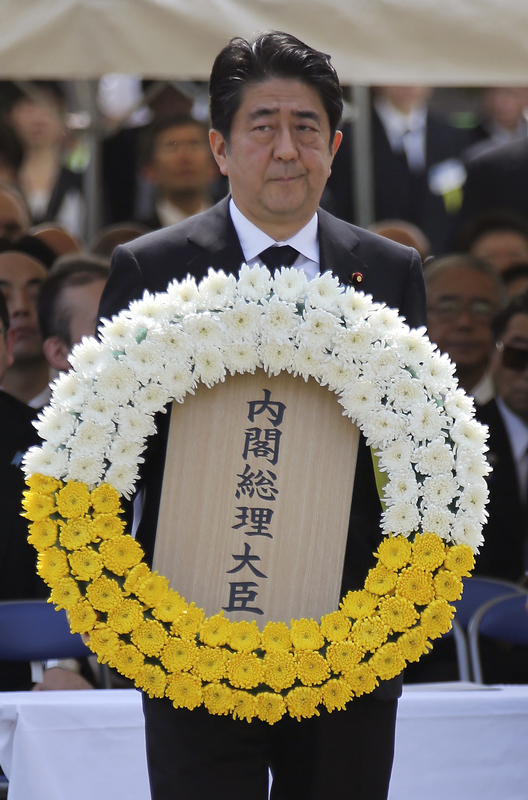 A draft of Prime Minister Shinzo Abe’s statement to mark the 70th anniversary of the end of World War II includes all key words used in the 1995 Murayama statement, including “apology” and “aggression,” NHK reported Monday. Officials in the ruling coalition welcomed the inclusion of these words in the draft, whose final, official version is scheduled to be released this Friday. An initial draft did not include the word “apology,” according to some media reports, an omission that would likely anger China and South Korea, where bitter memories of Japan’s past occupation and colonization run deep. Abe is juggling conflicting priorities in crafting the statement. He needs to satisfy the desire of its close ally, the United States, to ease tensions in East Asia. He also wants to keep an incipient thaw in ties with China on track as he eyes a summit with President Xi Jinping that a close aide said is likely to be held in September. 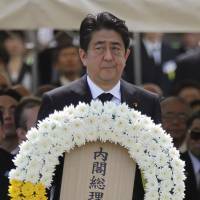 However, the conservative Abe’s core supporters want to end what they see as a humiliating cycle of apologies they say distract from Japan’s seven decades of postwar peace. Abe has said he will uphold past statements about the war, including Murayama’s landmark “heartfelt apology.” But his previous remarks and stated desire to look to the future have raised concerns that he wants to water down those apologies. The latest draft was shown to Liberal Democratic Party Secretary-General Sadakazu Tanigaki and Komeito leader Natsuo Yamaguchi, according to NHK. The broadcaster said, without citing the source, that the draft includes “feelings of deep remorse,” “colonial rule,” “apology” and “aggression,” all words seen as key in the Murayama statement as well as the 2005 statement by then-Prime Minister Junichiro Koizumi, which repeated them.